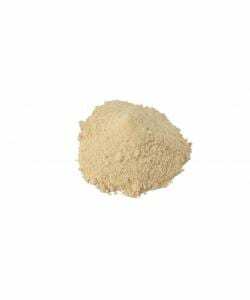 Kanna UC extract is a more concentrated type of kanna extract, making it more potent with rapid onset. Enjoy the relaxing, social buzz of this potent extract, but make sure you only take small amounts at once (however regular you like), or else a slight nausea could occur. Kanna UC extract is best used as a snuff; the onset is rapid and very intense, but doesn’t last for a long time. Kanna UC2, on the other hand, is best mixed with food. It’s slower to produce effect but the effects remain active longer. While kanna is known for it’s relaxing properties, there are actually a number of additional effects depending on the dosage and concentration. Some people experience a social buzz and an increased appreciation for ‘the moment’, either for a shared friendship or the beauty of nature, depending on the setting. There are several ways to consume this extract, but we recommend using capsules. One gram is sufficient for 6 to 7 dosages at 150 mg per capsule. When snorting or vaporizing, a single dose is about 75 mg.
Sceletium tortuosum is a Selective Serotonin Reuptake Inhibitor (SSRI). It should not be combined with other SSRI’s (Seroxat, Prozac) or Mono Oxidase Inhibitors (MAO-I).